The Bromley Park Pool is the gem of our neighborhood! 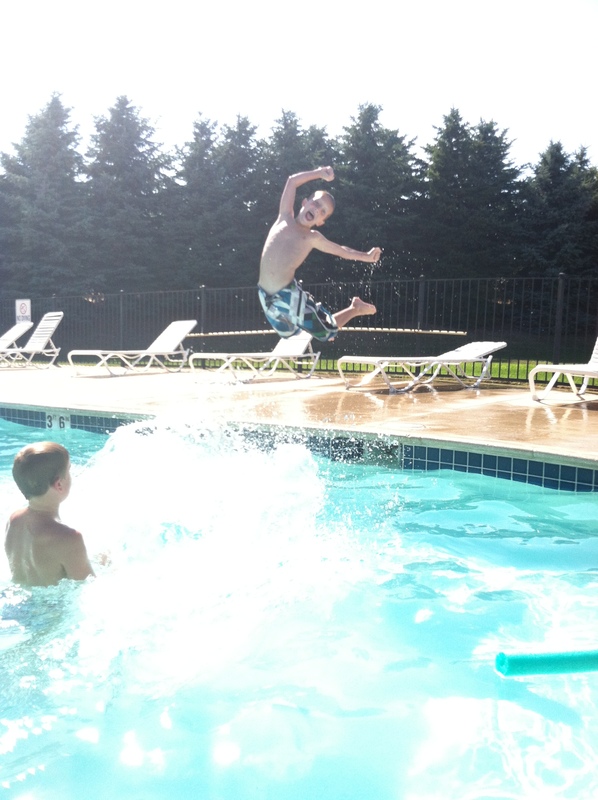 The pool season runs from Memorial Day Weekend through Labor Day Weekend. All gate fobs from prior years will be activated automatically for homeowners who are up-to-date on their annual dues. These are the same fobs that were handed out last summer. If you need a new fob, please contact Paul Blasch at blaschpj@yahoo.com or call 734-481-0395. There is a one-time deposit fee of $20, which is refundable if/when the homeowners moves. The pool is for the enjoyment of the Bromley Park Community Association members and their guests. To make the experience fun and safe for everyone, please take note of the following rules and regulations. ABSOLUTELY NO DISPOSABLE DIAPERS. All children not toilet trained must wear a regulation swim diaper or cloth diaper and rubber pants that fit snuggly at the waist and legs. This swim attire must be provided by parent or guardian. Parents or guardian(18yrs and older) must accompany children under the age of fourteen (14) at all times in pool area. No child is to be left unsupervised for any reason. GUEST POLICY: All guests must be accompanied by a resident (18 years and older). There shall be no more than 6 guests allowed per household at any one time.